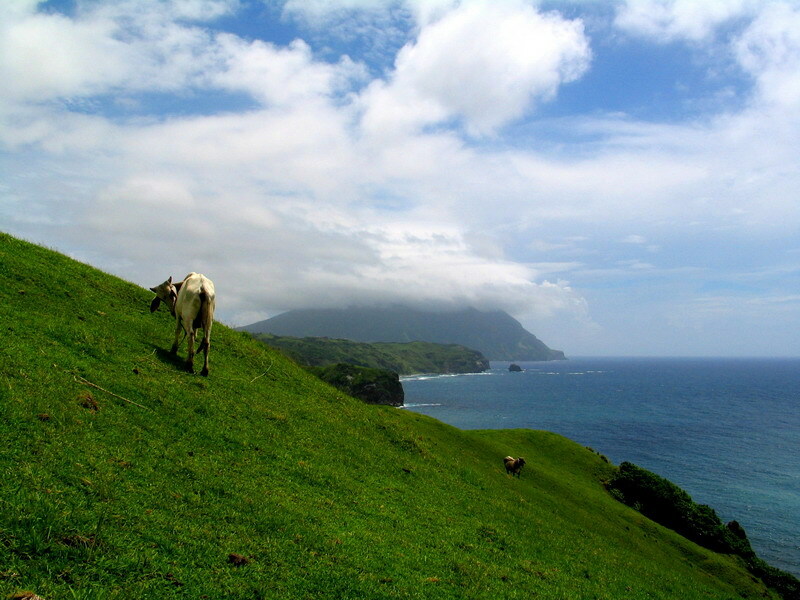 The Batanes island group is the smallest province in the Philippines in terms of population and land area. The capital of Batanes, Basco is 280 kilometers north of Apari, Cagayan (the tip of main island of Luzon) while it is only 190 kilometers south of Taiwan. Batanes lies in the vast waters of the Pacific ocean where the Pacific meets China sea. An area that for generations is almost isolated from the rest of the Philippines. Batanes consist of 10 tiny islands and islets namely: Batan, Sabtang, Itbayat, Mavudis, Siayan, Diogo, North Island and Y'ami. Only the first three islands are inhabited. The wind swept islands of Batanes are beautiful and enchanting and they are like no other in the Philippines. Since Batanes is separated from the country by miles of rough waters, the Ivatans (the name of the people of Batanes) have developed a different culture. Ivatans are honest, gentle and polite but brave and robust. They are proud of their their heritage and their land. The landscape of Batanes is also distinct from other Philippine provinces - steep cliffs, rolling hills, deep canyons and boulder-lined shores - not unlike New Zealand in some way. But the most noticeable of all features of Batanes is the architecture of the houses - stone walled and thick thatched roofs to withstand the battering of typhoons. The weather of Batanes is cool and windy. And it rains any month of the year. It has an almost temperate temperature from December to February where temperatures dip as low as 7 degrees centigrade. Although Batanes lies along the typhoon belt and gets hit by strong typhoons, it get it's fare share just like other provinces on the north. But in spite of the reputation of Batanes as a backward region, it now has modern conveniences like mobile phones (cell sites by Smart & Globe Telecoms), electricity and cable television but hardly any vehicles. There are a lot of things to do and see in Batanes, swim on the many beaches, see the fishing villages, the churches and lighthouses, island hop, but best of all, it is a beautiful place to reflect and admire nature. ● House of Dakay (1887) a UNESCO heritage building. ● Mt. Iraya - A 1008-meter mountain on Batan Island. ● Burial Caves - Pre-historic burial caves in the town of Itbayat. ● Beaches - Chadpidan Beach, White Beach and more. ● Payaman - known as "Marlboro Country", a pasture overlooking farm fields & the Pacific Ocean. ● Language: Ivatan (an Austronesian language, with pidgin Spanish and Chinese accent). ● Brandon's Lodging - 11 tastefully decorated rooms each with TV, aircon and toilet & bath. Contact: Madeleine Siazon at +63 919 366 2158 for reservations. SEAir [Tel. # (02) 849-0100] has early morning flights daily to Batanes from Manila and vise-versa. These flights land straight to Basco on Batan Island, Batanes. By sea, you can catch a ferry (MV Ivatan Princess) operated by the Batanes Multi-Purpose Cooperative (Tel. # 0917-793-0102) from Currimao, Ilocos Norte to Basco, Batanes and vise-versa every Wednesday and Sunday. Hi, My name is becka benard, i live in germany with my father, mother and litle angel sister. i am working in zahnarzt berlin and EU Neuwagen Reimport company. well everyday i came across hundreads of websites and i like your website because it seem to be different, that's why i'm giving some of my time to posting a comment here.